GSD is the culmination of Dumas Paris' research in terms of improving comfort and optimizing product safety. This patented concept of the double shell allows to stop and to block the contamination resulting from the migration of mites and allergens. The outer shell is an untreated textile which guarantees the comfort of a hypoallergenic contact. The inner liner receives a specific treatment and serves as a barrier to the harmful elements. This treatment contains a biocidal product SANITIZED® PL21-60 in compliance with EU requirements No. 528 / 2012. The two envelopes work in synergy to ensure maximum comfort and safety for humans and their environment. The GSD label on the packaging indicates that your product benefits from this technology. The Royal 70% mid-seasons duvet is the favorite of 4 * hotels to Palace. 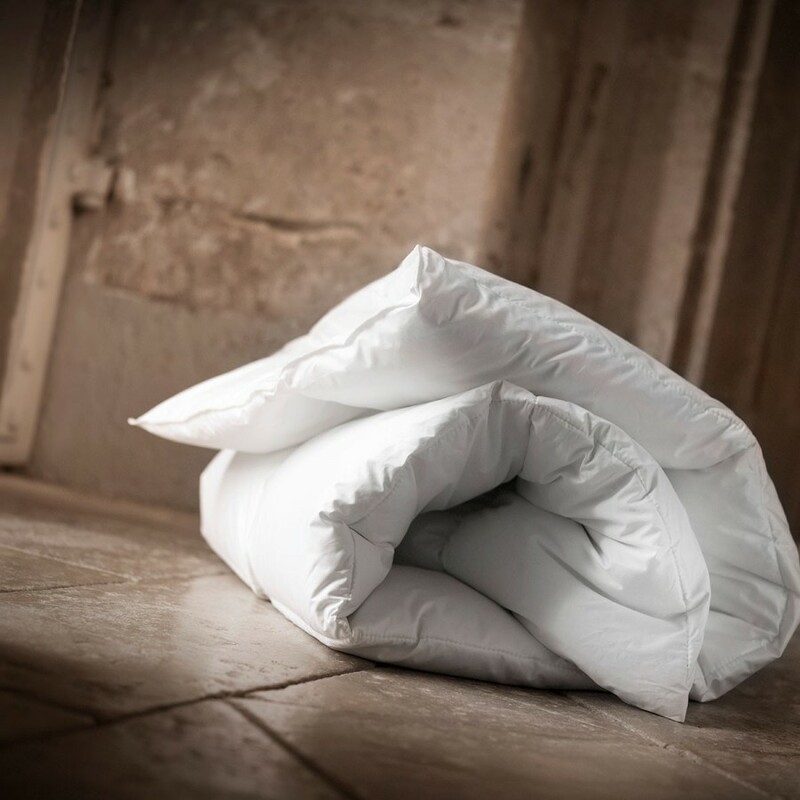 This half-season duvet is ideal for a room heated between 18 and 20 ° C. The Royal Temperate duvet provides a moderate level of warmth, ideal for people who do not usually get too cold or too hot during the night. It will bring you peace and sweetness. Composition This natural duvet is filled with 70% European new duck down, 30% European new duck feathers. Its high grammage of 270g / m² makes it swelling and gives it a warmth level. Associated with duck down, the down-proof satined cotton envelope is a top of softness. Its satin stitch finishing is the toughest. The 70% tempered royal duvet can receive the exclusive GSD® process, an inner lining treated against dust mites and bacteria, for maximum allergy protection. Packaging Your duvet will be delivered in a Dumas Paris canvas bag for protection and storage during hot weather. The Dumas bag can also accompany your leisure and travel. 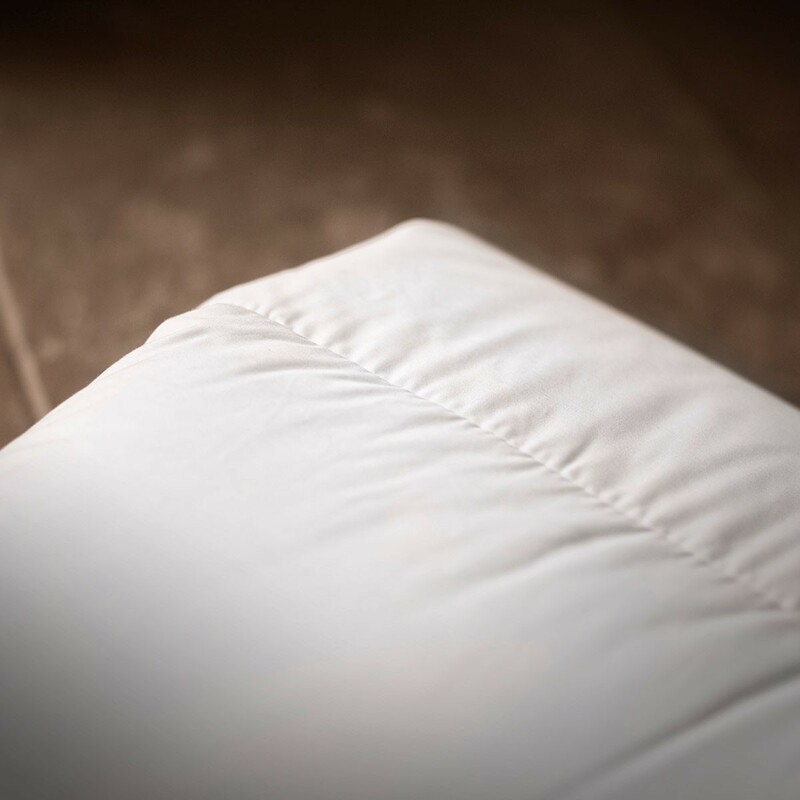 Tailor-made and embroidery Available in standard French sizes, the Royal Temperate down duvet can be tailor-made and personalized with an embroidery on demand. The manufacturing time for special dimensions is 10 days. Special sizes and personnilised duvet are not taken back or exchanged. Cleaning proccess This duvet is machine washable. Select the gentle cycle at 40°C or its equivalent. Add your usual amount of your usual detergent provided for this purpose. Do not use chlorine bleach. Please note that only duvets size 140x200cm are washable in traditional domestic washing machines. For large sizes (from 200x200cm), we recommend going to a dry cleaner or a specialised laundry facility with large capacity washing machines. At the end of the cycle, select the maximum dry cycle. Drying will take place over a two-hour cycle until there is no moisture. To make your duvet as good and fluffy as new, add two tennis balls to the dryer. Do not hesitate to expose to the summer sun. A favorite of luxury hotels, the royal temperate duvet allows you to find the comfort of the largest hotel establishments. Made in France with the utmost confidentiality, its design combines traditional know-how and advanced innovation techniques. Since 1910, Dumas Paris has been synonymous with excellence and quality.